When I was growing up, the summer holidays came with some guarantees. Christmas was the first thing we’d look forward to. A week after school finished, the big man in the red suit would stop by and leave us some presents for good behaviour, and some not-so-goodies for the naughty days. Yes, I remember a few times when along with my favourite colouring books or sweets, Santa would leave me an onion or garlic in my boot (hey, we’re in Australia – lumps of coal in the middle of summer were probably hard for Santa to come by). Long, hot days playing outdoors in the garden sprinkler or in a blow up swimming pool. Eating lemonade icy poles or Zooper Doopers. Giant slices of watermelon and having watermelon pip spitting competitions with your friends. 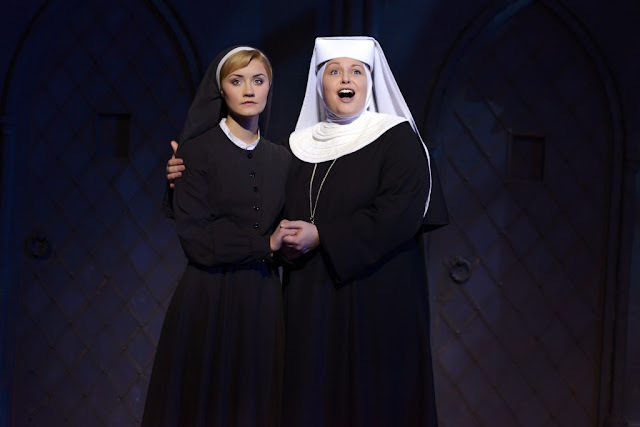 Last week, I was lucky enough to attend the premier of The Sound of Music stage show at The Capitol Theatre in Sydney. Again, as the day dragged on (it was an evening performance), I felt the excitement of seeing one of my all time favourite films, live on stage. I wasn’t disappointed. It was everything I’d hoped it would be, and more. To describe it in one word – AMAZING! The Sound of Music has some of the most memorable songs, and I know just about every word to every song. My date for the night was my little lady and I warned her that I’d probably end up singing along, but I’d try to be quiet about it. She thought this was pretty funny. Amy Lehpamer stars as Maria, Marina Prior is Baroness Schraeder, Lorraine Bayly as Frau Schmidt and Cameron Daddo stars as Captain Von Trapp (MAJOR SWOON). Honestly, there was an audible intake of breath when he first appeared on the stage, looking very dapper in his Captain von Trapp suit. The von Trapp children are all wonderful and I can only imagine the hours of dedicated rehearsing it must have taken for the polished numbers which they performed. Absolutely outstanding. One actress, which completely blew me away with her performance, was Jacqui Dark as the Mother Superior. She sang ‘Climb Every Mountain’ to close the first half and I had goose bumps from head to toe. Again the only way to describe it was, AMAZING! THE SOUND OF MUSIC is now playing in Sydney and coming soon to Brisbane, Melbourne and Adelaide! 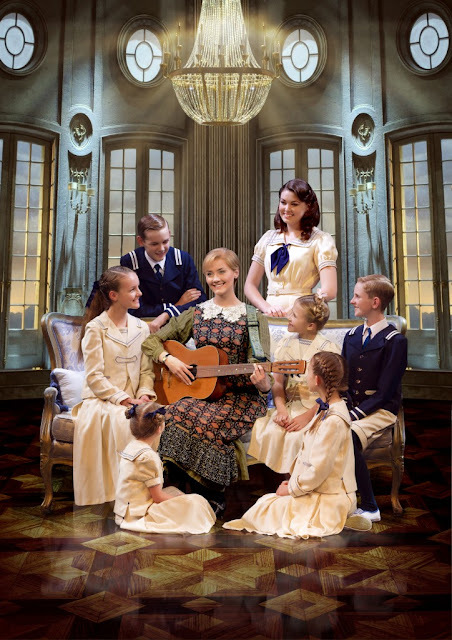 Tickets to The Sound of Music are available at Tickmaster – it’s the perfect treat, for the whole family this school holidays. I’ve already booked tickets to go again for my birthday in January. Cannot wait! Do you love The Sound of Music too? My favourite is Edelweiss. I do love the Sound of Music and even more so with Cameron Daddo in it! !